Community Medicine department has the unique distinction of being the only department which takes a medical student to the community. The community medicine is an essential component of undergraduate medical curriculum. It is a two and half year course (3rd to 7th Semester) and forms a part of one of the subject of clinical sciences of MBBS. The department simultaneously caters to the academic needs of undergraduate and postgraduate students of Community Medicine as well as its interns. 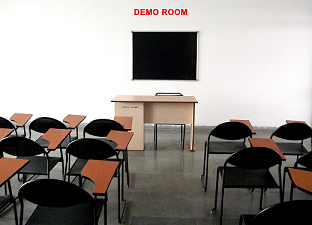 The teaching is conducted at both the undergraduate and postgraduate levels ensuring that the education in the subject is of the highest standard. 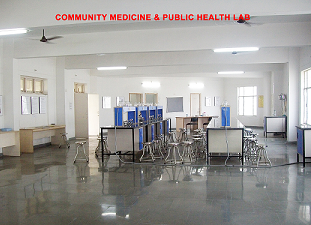 The teaching and research undertaken in the Department of Community Medicine are both supported by well-equipped facilities. The department is also actively involved in reinforcing skills of postgraduate students of all specialties in the areas of research methodology and bio-statistics. Perform early diagnosis and treatment (using essential drugs) for the locally endemic health problems in the community. Provide health education (including counseling) to all the patients who are treated by them. Provide preventive and promotive health care to the most vulnerable sections of the society, for example - children under five years of age, children in urban slums, pregnant women, adolescent girls and elderly persons. Take active participation in the National Health Programmes even if they choose to be a private practitioner. Use their knowledge of infectious disease epidemiology in preventing the spread of disease from person-to-person within the family and from person to in the community. Use their knowledge of general epidemiology in planning and conducting community-based-research of good quality. Provide preventive, promotive and curative heath care to the workers in the various occupations (Occupational Health). Play the role of a friend, philosopher and guide to every individual (be it a patient or a community member) so that, whosoever comes in contact is motivated to bring a health promoting change in the life style. The department has highly qualified and able faculty to impart academic training to the undergraduates as well as postgraduates. We have fourteen faculty members who are qualified and well trained in various areas of academics and research. The department has adequate teaching training and research facilities for students to enable them to provide comprehensive, promotive, preventive and curative services to the community through its Rural and Urban Health Training Centres. Rural Health Training Centre is situated at Sarai Akbarabad, Satrikh which is about 12 Km. from Hind Institute of Medical Sciences, Safedabad, Over 4050 families are registered covering a population of about 23177 people. 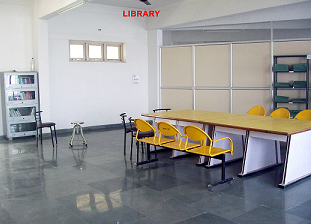 Urban Health Training Centre is located in Indira Nagar, Lucknow about 15 km. 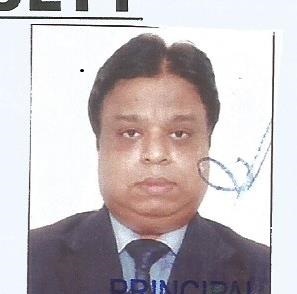 from Hind Institute of Medical Sciences, Safedabad. About 4376 families are registered in the defined area covering a population of 22766 with a view to providing basic health services as well as training our undergraduates, postgraduate students and interns. Health activities at both the centres include regular outpatient services, antenatal care, immunization, family welfare services, health education session, distribution of iron and folic acid tablets to pregnant and lactating women, vitamin A syrup to the children are part of the activities carried out by the centres. 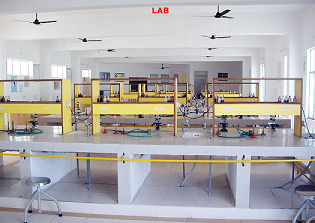 Facilities for routine investigations are available at the laboratories in these centres. These services are also provided in the community through a team of doctors, Medical Social Workers, Auxiliary Nurses, Midwives, Health Inspectors and Health Educators. An epidemiological study of hypertension in a rural population in Barabanki District. A study of psychosocial and health related issues among elderly people in a rural area of Barabanki District. Risk factors of non-communicable diseases in a rural population in Barabanki District. A Clinico-epidemiology study of obesity, in a rural population of District Barabanki, Uttar-Pradesh. The WHO-AIIMS "Surveillance of Cardiovascular risk- factors & educational intervention project"
Prevalence of ocular morbidity among the rural population of district Barabanki with special reference to healthcare seeking behaviour. A statistical unit with is also functional in the department for PG students & faculty members. The unit has computer, internet and printing facility and for statistical analysis. 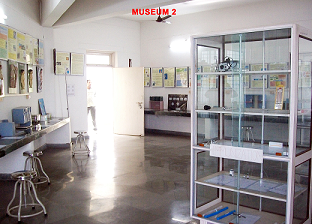 The department has got a well developed museum having various models, charts, equipments etc. for teaching of medical students in community medicine. The department is also having a Community Medicine Society to improve the understanding of concepts of community medicine and allied sciences during the undergraduate course. 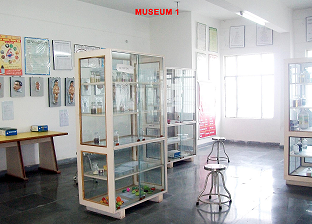 The membership is open to the students of 1st to 7th Semester MBBS students and postgraduate of the department.